MS in USA - Fall vs Spring? When to apply? 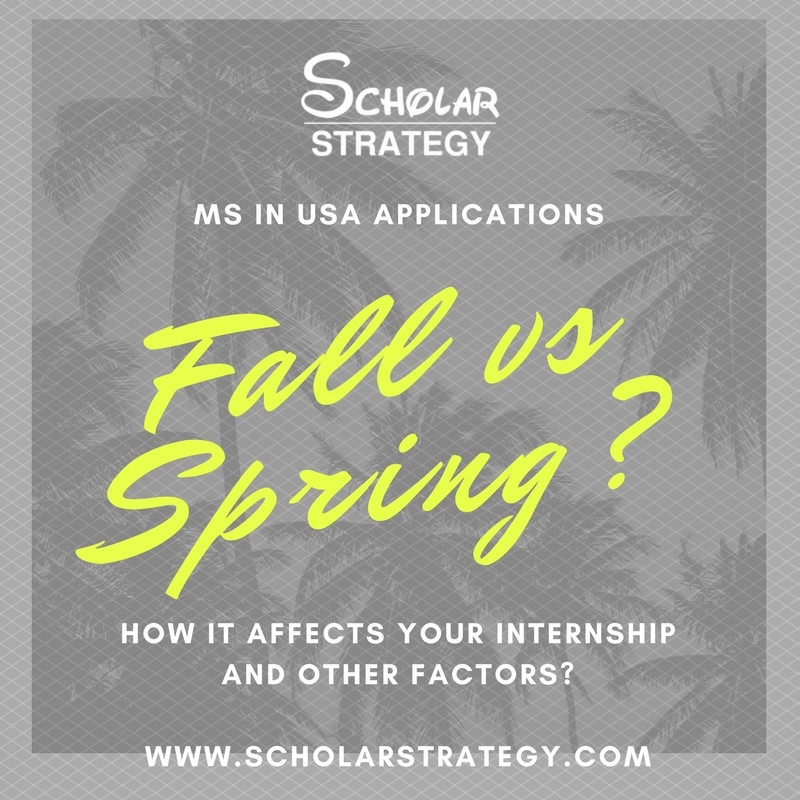 If you did not receive your dream admit in Fall or if you had missed your Fall deadlines, you are probably considering a critical question that many applicants are confused about – Fall vs Spring? Internship – You can get a CPT only after 9 months of your arrival into USA. For this reason, Spring students cannot get a CPT to intern off-campus during their first summer. However, they can still do a full-time summer internship their second summer but they need to attend one more semester at their school after finishing the internship. This means that they cannot do a summer internship in the second year if they are planning to graduate in 3 semesters only. If a summer internship is critical for you, then consider applying for a course beginning in Fall so that you do not face such restrictions. Do enquire with your department if summer internship is possible after going in Spring. Our student Praneeth confirms that SUNY Stonybrook does NOT allow it. Scholarships – While some people argue that chances of scholarships are low in Spring than Fall, there is no evidence to support this. It all depends on the availability of funding with the university and the Professors. Courses – There is another notion that not all the mainstream courses are offered in Spring. Again, I have seen this both ways i.e. some courses are offered in Fall typically and some in Spring, so there is no general rule across all the schools. More popular courses might be offered preferably in Fall since that is the most common intake period and number of students enrolling for the courses are higher in Fall. However, it is better to take a look at the curriculum before assuming that you will not find enough good courses in Spring. You might be interested in some courses which are offered in Fall only but the chances are that you can take it in your second semester anyway. Many courses are designed such that you can take first part in fall second part in spring, you wouldn’t be able to take these courses in spring. Accomodation, Weather and Networking – It might also be very difficult to get accommodation when you join during spring as most leases start fall and end in summer. You also miss the big university wide orientations that happen during fall. January weather in east coast is pretty bad too. This is part of the MS Book. 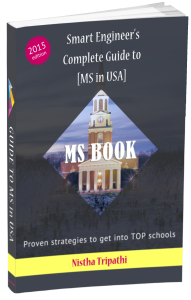 To get more such relevant information, please check out MS Book: Smart Engineer’s Complete Guide to MS in USA.